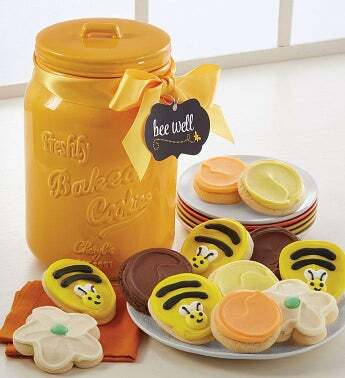 This sunny yellow mason cookie jar arrives with a buttercream frosted assortment including our sweet bee and flower shaped cut-out cookies. Each high-quality ceramic jar stands 10” tall. OU D.